Whether you live in your forever home or have intentions of selling, replacement windows bring with them a number of benefits that no homeowner should ignore. From reducing energy costs to improving the value and visual appeal of your property. You may think your old or slightly damaged windows may be good enough, but replacement comes with more than one benefit. Below are some wonderful enhancements new windows can bring to your home. New windows will, without a doubt, lower your energy costs and at the same time make your home a more comfortable place to be by keeping homes warmer during the winter and cooler during the summer. Insulated glass has been around since the 1980’s but manufacturing techniques and the materials used have been constantly improving. A window of high-quality that is installed correctly, can carry significant energy savings by reducing heat loss and gain, depending on the time of year. Insulated double pane windows can block energy loss by as much as 40% and will have a noticeable impact on your utility bill. With all the cost-saving benefits associated with new windows, they also give a boost to your home’s curb appeal. Added visual charm and character can increase your home’s visual interest as well as increase the overall value of your home. Most home improvement projects can increase the value of your home and the replacement of old drafty windows is certainly one of them. In fact, the National Association of Realtors has rated exterior projects such as window replacement among the most valuable home improvement projects. Improving upon function, aesthetics, and protection from the elements. Many newly manufactured windows have improved upon features such as tempered glass that is less likely to cause injury if accidentally broken, they are designed to resist shattering and break into small pebbles if broken, thus preventing sharp edges. New windows are also equipped with enhanced locking mechanisms resistant to tampering and some glass is manufactured with a laminated interlayer that holds the glass together if shattered. This interlayer will both help protect you from harm during an accidental breaking and also slow an intruder during a potential break-in. The insulating properties of new windows will also work to reduce the transmission of sound. Meaning you’ll hear less of passing traffic and neighborhood dogs as well as allowing you to make more noise inside your home without disturbing your neighbors. Many energy efficient windows can prevent the passage of Ultraviolet light into your home. If you’re like most people, then you enjoy opening up the curtains and letting the sun’s natural light fill your home. But UV rays from the sun are also a major culprit in the fading of interior furnishings. Curtains, flooring, and interior paint can all be damaged by too much sunlight. Last but certainly not least, new replacement windows are, by design, intended to be low maintenance. Many manufacturers offer decades-long and even lifetime warranties. Depending on the window/brand, you may never have to paint or replace functional hardware for the life of the window. Also, many feature easy to operate and clean functionality to allow for quick and simple maintenance. B & L Glass Company specializes in commercial/residential glass and window replacement and installations. 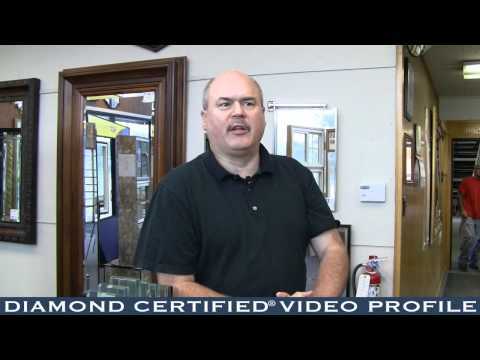 Our trained staff will guide you through the right windows to fit your project needs. We carry products from several top of the line manufacturers with a wide range of applications. Please contact us online or stop by our Santa Rosa location to check out our showroom to see what we can offer you, as well as answer any questions you may have.